The Clearstream Flex is a thin, flexible indoor antenna intended for installation on a window or wall. 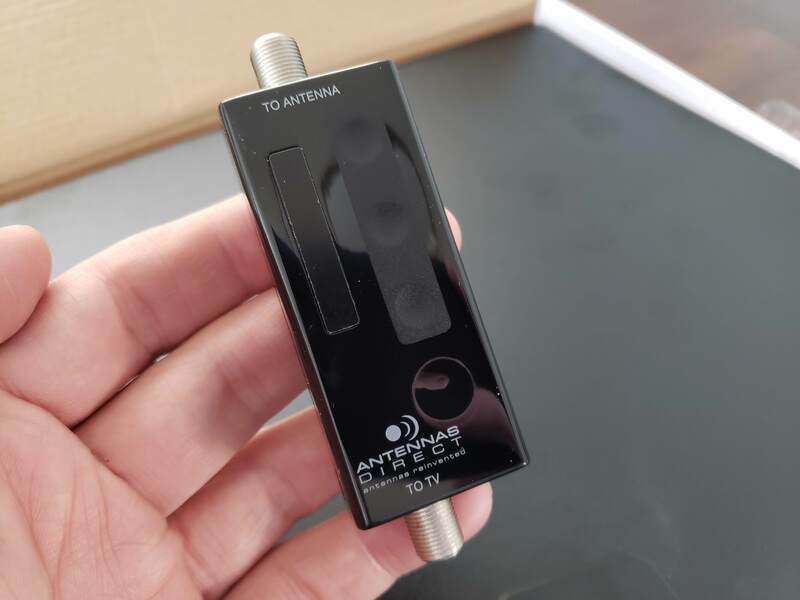 Compared to other antennas of this type, it proved to be one of the best performers. It should be capable of pulling in most channels in areas of very strong to medium TV signals. The Clearstream Flex is larger than some of its rivals, but when it comes to antennas that’s usually a good thing. The Flex measures 16 inches across by 12 inches deep and is just a millimeter thick across most of its body. It also feels a little sturdier than some competitors. Antennas Direct supplies a piece of tape that allows the Flex to be stuck to a window or wall. One side of the antenna is black and one side white you can choose what looks best in your room. 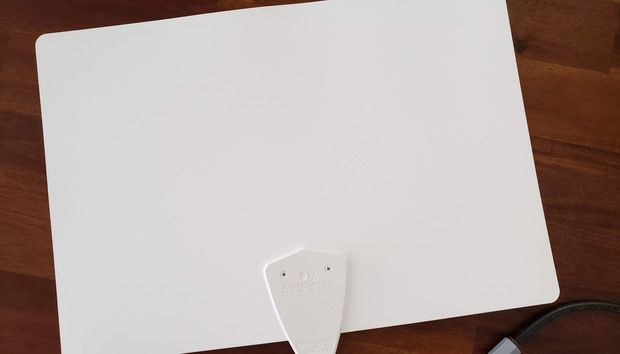 For indoor mounting, our advice is get the antenna as high as possible and on the same side of the house as the TV transmitter towers (see our guide for determining optimum placement). And remember, an indoor antenna will never be as effective as an outdoor one. The Clearstream Flex is black on one side, white on the other. In our tests, the antenna reliably received seven broadcast channels, which together carried a total of 32 channels of digital TV. That puts it among the best in its class for reception at our test site. It decoded an additional three channels carrying 11 digital stations, but reception wasn’t reliable enough for continuous viewing. It managed to pull in stations broadcasting on both the UHF and VHF-High bands. It’s not suitable for stations in the VHF-Low band, although there are much fewer of those and they are generally smaller stations. Reception was no doubt helped by a 20dB signal amplifier supplied with the Flex. The amplifier is powered via a USB connector so you can use the supplied USB power adapter or plug the amplifier into a USB socket on your TV, if it has one. This latter method will mean the amplifier is only drawing power when the TV is switched on. 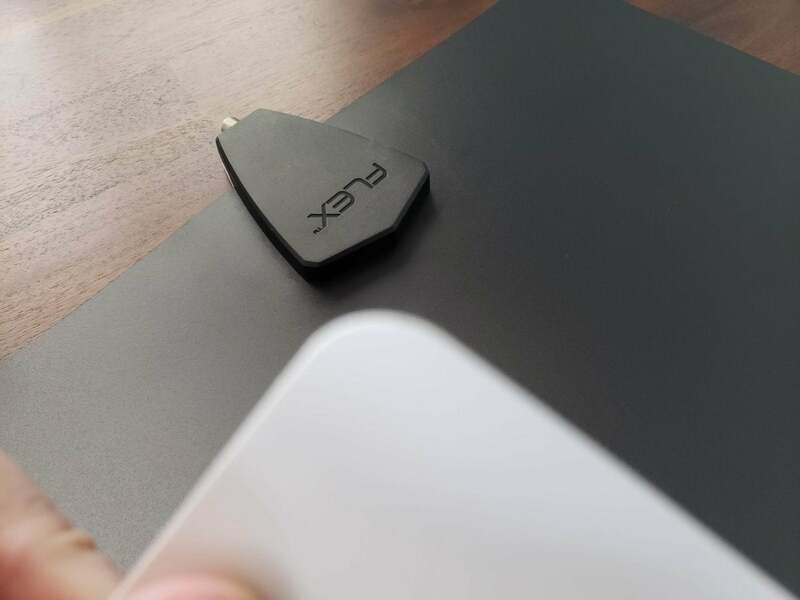 Included with the antenna is the amplifier, a USB power adapter and cable, a 15-foot run of coax cable to connect the antenna to the amplifier and a short 2-foot run to go from the amplifier to the TV. As it’s intended to sit on a window or wall, the tape strip is the only mounting hardware supplied or needed. The Clearstream Flex is a good antenna for areas where signals are strong or very strong. Its larger size versus some competitors means it might make more of a statement on your wall or window, but that’s the price you pay for better reception. « Will Cortana go the way of Windows Phone?